This version is in shades of blue. 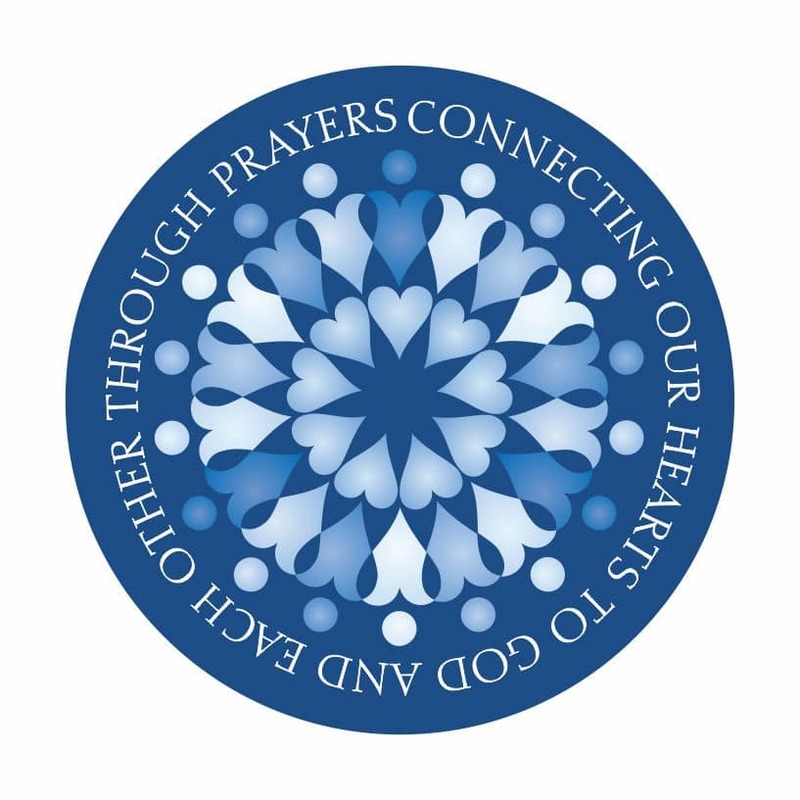 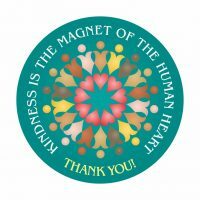 This is the design on the back cover of our popular Interfaith Prayer Book. Since the prayer book is in blue, we also produce this button in blue to match it. 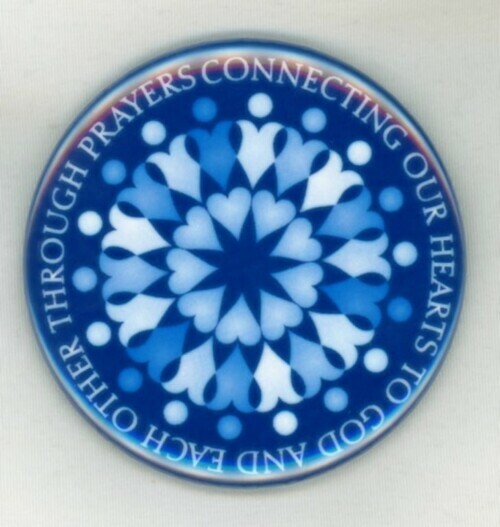 It makes a nice companion gift to go with the prayer book. Other times you might prefer this full-color version.